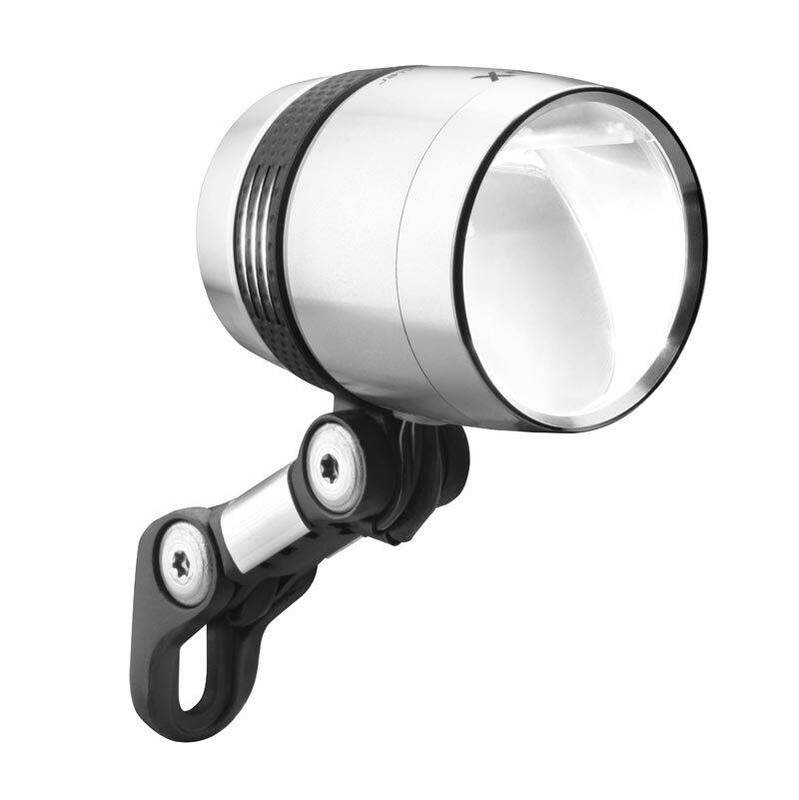 New for 2016, the IQ-X is the brightest dynamo powered bicycle headlight at 100 lux. The new optical system produces a smoother distribution of light on the road than any other headlight. The housing is anodized aluminum and acts as the heat sink for the LED. Available in either silver anodized or black anodized finish. 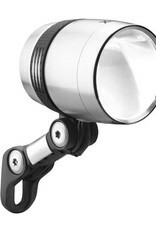 The IQ-X has a standlight, as well as daytime running lights. Automatic switching between daytime and nighttime modes. 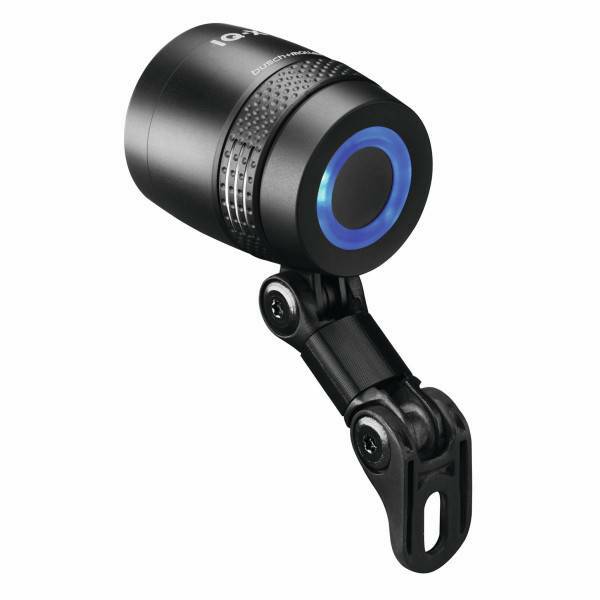 It is compatible with other Busch & Müller headlight mounts. 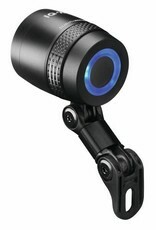 For most applications the included mount will work.